Find information about this week's message on Facebook. Join us for Pastor Johnson's last Sunday with us on April 28. See the bulletin for details. 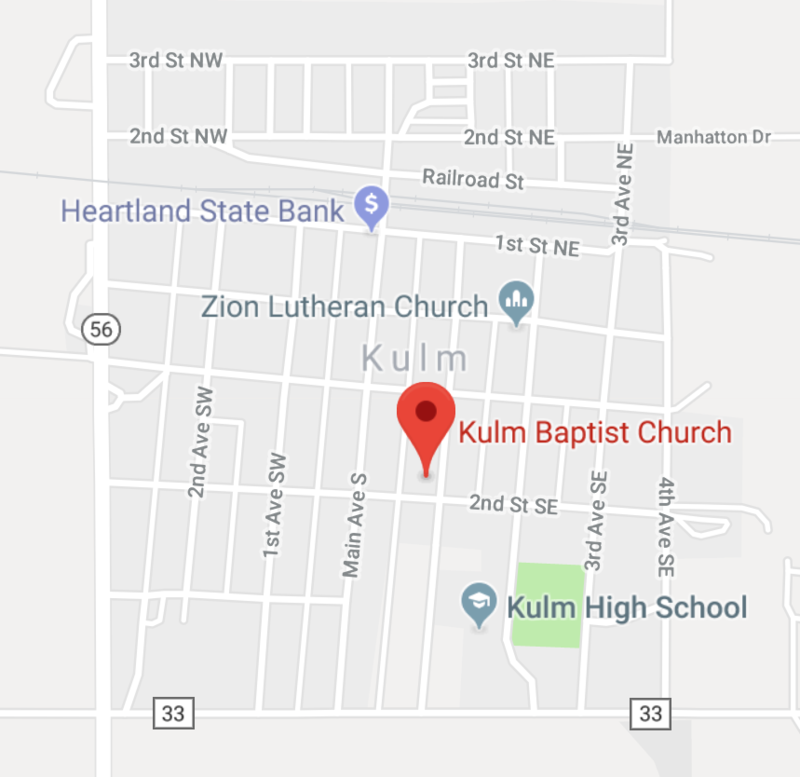 Thank you for visiting the Kulm Baptist Church website! We hope you enjoy browsing our website, and that you find a lot of useful information. We invite you to join our fellowship. Jesus Christ is honored here. © 2018. Kulm Baptist Church. All Rights Reserved.